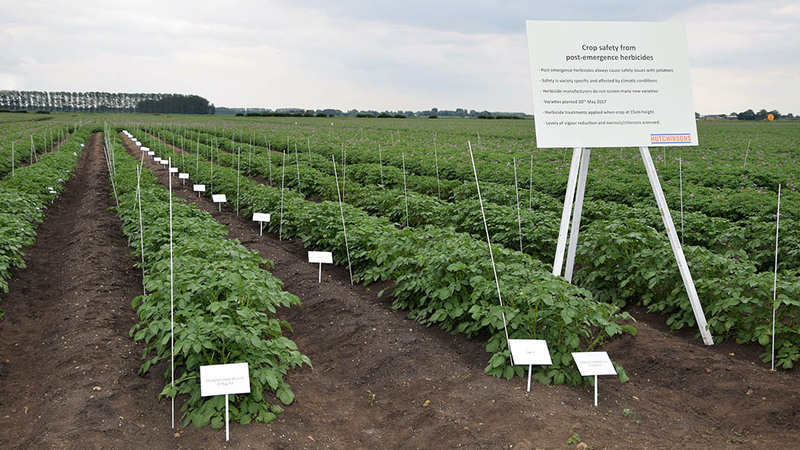 This season’s AHDB SPot Farm West trials have highlighted key techniques to reduce potato cyst nematode (PCN) populations. Abby Kellett reports. 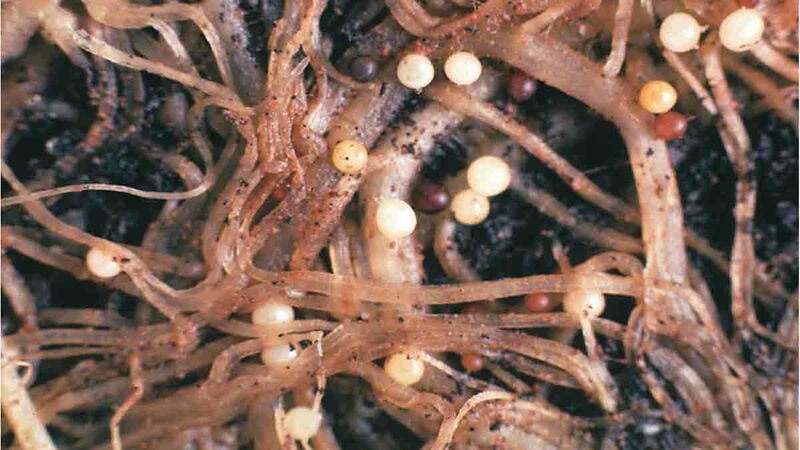 Changing population dynamics and a shortage of clean potato land means there is a growing need to expand and improve potato cyst nematode (PCN) control options. This is the main focus at Heal Farm, Shropshire, AHDB’s SPot Farm West where PCN populations can be as high as 304 eggs per gram, according to farm director, Matthew Wallace. In order to gain adequate control, growers need to use a variety of management strategies which are relevant to the PCN species which exist on their farm, growers attending the SPot Farm West results day at Harper Adams University heard. Of the seven varieties grown at SPot Farm West, Royal boasted the highest overall treated yield at 58 tonnes per hectare (23t/acre). Its untreated yield was higher than all of the other treated varieties with the exception of Maris Piper, emphasising its tolerance to nematicides. The lowest yielding variety was Innovator, averaging 21t/ha (8t/acre) treated and 11t/ha (4t/acre) untreated. In trials to assess the effect on marketable yield, potatoes within 45-85mm size range, Maris Piper showed no response to treatment and yielded 44t/ha (18t/acre), while Performer demonstrated the biggest response to nematicide treatment, with treated plots yielding about 76 per cent higher than untreated. The results from tolerance rating trials showed how tolerance can vary from site-to-site and from season-to-season. For example, while Arsenal showed moderate tolerance in SPot farm East trials in 2016, at Heal Farm, the variety was moderately tolerant last season. A number of growers at the event expressed the need to monitor PCN populations following potato harvest, to find out whether the more tolerant varieties actually leave a greater PCN burden for the following crop. While nematicides can provide around 20 days of protection from PCN, the number of options available to growers is declining, with approvals for Vydate [oxamyl] and Mocap [ethoprophos] due to expire this year. 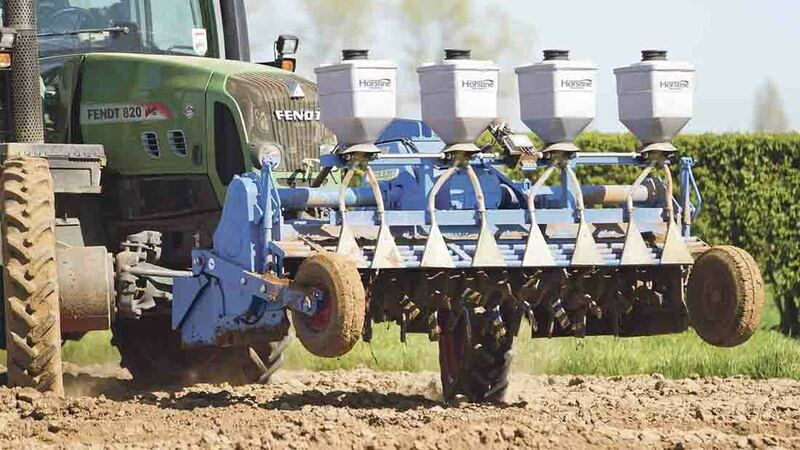 One thing growers could do to make best use of those nematicides still available is to incorporate them at the correct depth, said Dr Simon Woods, senior lecturer at Harper Adams University. There are potential new nematicides on the horizon. In 2020, Bayer expects to launch its new nematicide, currently coded AR83685, which uses the SDHI active ingredient fluopyram, more commonly used to control septoria in cereals. While it is effective at reducing PCN populations when used in isolation, independent trials are said to show it is even more powerful when combined with other nematicides. Dr Matthew Back of Harper Adams University described how trap crops can provide effective control against PCN. Three trap crops trialled at Heal Farm – solanum nigrum, more commonly known as Black Nightshade, along with two more solanum species known as KBL and Azo – all reduced PCN populations substantially (see table).